Jenna Kinzler lives in North Dakota with her husband Ryan, and their two cats: Lefty, a short-haired tabby, and Felix, a short-haired black cat. She has a Bachelor of Arts degree in English with an emphasis in creative fiction writing from Minnesota State University Moorhead in Moorhead, MN. In her spare time she likes to knit, read novels, and spend quality time in either God’s Word, with her husband, or with her friends and family. 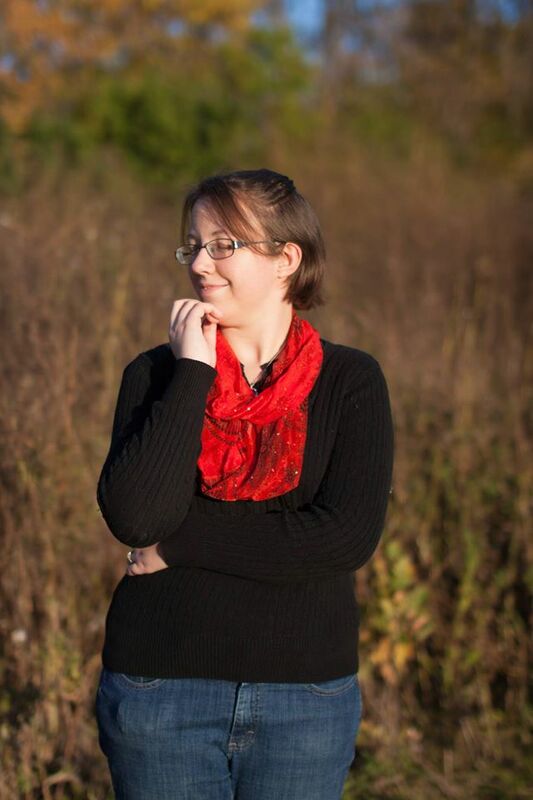 Jenna has been writing novels, novellas, short stories, and poems since she was twelve years old. One day while reading a book, she wondered how the author and publishing company made the book. Excitement buzzing through her, she found a blank notebook and started to write novella “Life With Guardian Angels.” After writing that book, she went onto write another, then another. She started out with novellas and poems, but then went into writing novels and, eventually, short stories. Altogether, she has written 6 novels, 45 novellas, over 60 poems, 12 short stories, and 1 screenplay. Every writer in existence is unique and fun in some way or another. So what causes me to stand out as both a writer and a person? What makes you want to follow me? For my inspirational and creative ideals, as well as to support a writer whose works are just beginning to slip through the cracks of existence. Join me as I go through this adventure of writing and finding my true self as a creative artist in the midst of millions others in humanity. But I have something special to offer. You will find that through my inspirational blog posts and fun topics such as God, knitting, new recipes, cats, sewing, and family, which obviously don’t have anything to do with the writing world, it provides you with fun and enjoyable ideals. Occasionally I offer advice as well about life and the burdens we all face as we continuously push forward, faster and stronger than ever. Why? Because sometimes people need an uplifting thought or two about how to keep pressing on, and then finding excitement and enjoyment in life by doing so. As a writer, I strive to not just entertain in my books and poetry. I don’t just write to make you think, “wow, that was the greatest book scene I ever read!” or “this is a wonderfully deep, heartfelt read!” My writing goal is striving to overcome obstacles that all writers face in the general society of writing life, by writing romance-suspense books that are both heartfelt and enjoyable. The characters in my books go through dark and burden-some pasts and as they work toward forgetting them, they meet other inspiring characters who pull at your heartstrings, and in the process, teach you a beautiful life lesson. These stories are filled with themes such as having faith and never giving up while you face a reality that you may sometimes feel is ready to give up on you. Now isn’t that an adventure worth taking a chance on?? >> Are you looking for a professional to write and edit something of yours? Not a grammatical error, but do you mean you are offering ghostwriting services as well? Because editing doesn’t include writing or rewriting. >> providing free feedback and criticism to you at a single cost. >> Examples of things I’d comment on is research done for something in the story, or POV aspects. >> Also, please only submit works that carries as little profanity as possible. incorrect subject/verb agreement. “Works” is plural, so the verb should be “carry.” However “carry” itself doesn’t make sense. Maybe use “include”. Awesome! Thank you so much for your help, Lillian! 🙂 I’ll make sure to update those mistakes on Monday. Thanks! 🙂 I really appreciate your help on this! You’re welcome. Would you like a partner in your freelance editing business? As you can see, I’m pretty good at this. Aww thanks for the offer, but probably not right now. I don’t get any offers as it is haha. I will! But, um, you haven’t fixed the mistake with “elude”, so once you do that, I’m happy to send along any other errors I foun d.